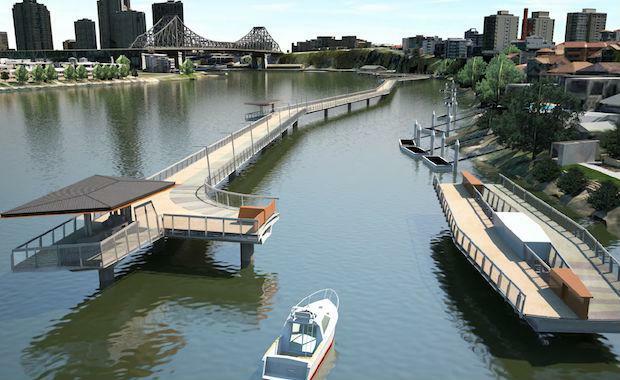 FutureNet Brisbane will be converting Howard Smith Wharves into a sprawling open air gallery dedicated to showcasing and celebrating Brisbane’s urban evolution. Set on the banks of the Brisbane River, the gallery will display a selection of projects that have shaped Brisbane’s identity and others which are destined to take the city forward in coming decades. Some of the projects being showcased include the new (yet to be opened) Riverwalk, Legacy Way, China Town Mall, Brisbane Airport Master Plan and the Qld Flood restoration work. Leading place makers and city shapers will demonstrate the cities burgeoning 'pop-up' culture through interactive displays which will activate the wharves and promote a conversation about Brisbane’s future growth story. The Lord Mayor Graham Quirk will be present to talk about Brisbane’s evolution in the coming years. Consult Australia to help create networking and professional development opportunities for enthusiastic and dedicated young professionals across the built and natural environment industry. FutureNet regularly host events within Brisbane that bring industry leaders, motivational speakers and young professionals that range from architects, engineers, economists, planners, designers, environmental scientists and many more together. All of the events are organised and facilitated by the FutureNet committee members who are young professionals within industry. The Chair of FutureNet Brisbane, Mark Case, says that, ‘FutureNet is the only organisation in Brisbane that brings such a range of young professionals together to make industry contacts, network with industry leaders and develop professional skills all while having a good time’FutureNet Brisbane now has over 1,000 members from various industries including government, consulting and construction and is celebrating its 10th year anniversary, displaying many years of great success. FutureNet Brisbane’s annual theme is ‘Leading the Future’ – The forces of change provide our industry the opportunity to evolve our strengths, address our weaknesses and ensure today’s vision becomes our legacy. For more information about FutureNet and their upcoming events check out their website.